Owning and operating a running store with my wife has been a huge challenge, but very rewarding. One of the upsides? We own a lot of running shoes! We have carefully selected every brand we carry and our reps are great at making sure they send us a pair of something so we can not only know about the shoe, but have experience in the shoe. That being said, we have our favorites. I am somewhat religious about rotating between different pairs of shoes regularly. Not only do I feel this helps to protect me from injury, but I also start to learn how one shoe can be a tool for a certain type of run (long road run, vs track workout, vs trail run) and which shoes will likely help me if my calves are sore/foot is bruised/knees are achy. Running and training for ultra marathons, I am always thinking about injury prevention as well as performance. So, here is my rotation – yep, these 6 shoes are all in heavy rotation regularly and I love them all differently. A few definitions: Stack height – simply the amount of stuff between you and the ground. Drop – the difference in height between the heel and forefoot. Completely flat is 0mm. Traditional high-heeled shoes are often 12-14mm of drop. Weight is in ounces, many traditional running shoes are often in the 12-14 ounce range. Altra One Squared: 5.9 ounces. 23mm stack height, 0mm drop. I’ll go ahead and say it – this is my favorite shoe. When I first put on the One Squared, I simply smiled. Its impossibly lightweight at 5.9 ounces, yet amazingly cushioned and flexible. 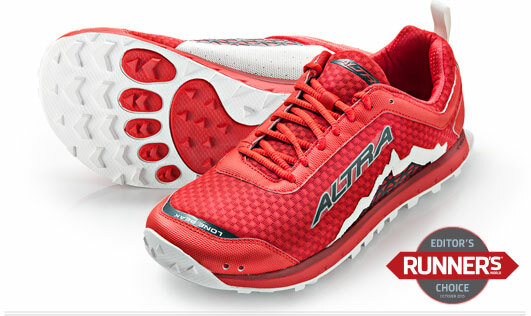 The A-bound foam of Altra is a stiffer foam that compresses less, giving you more ground feel and also lasting longer. But with 23mm stack height, its a super comfortable shoe and of course has Altra’s classic wide toe box and zero-drop platform. This shoe helps me to maximize my performance, yet is super comfortable for either an intense track workout, or 15 mile road run. 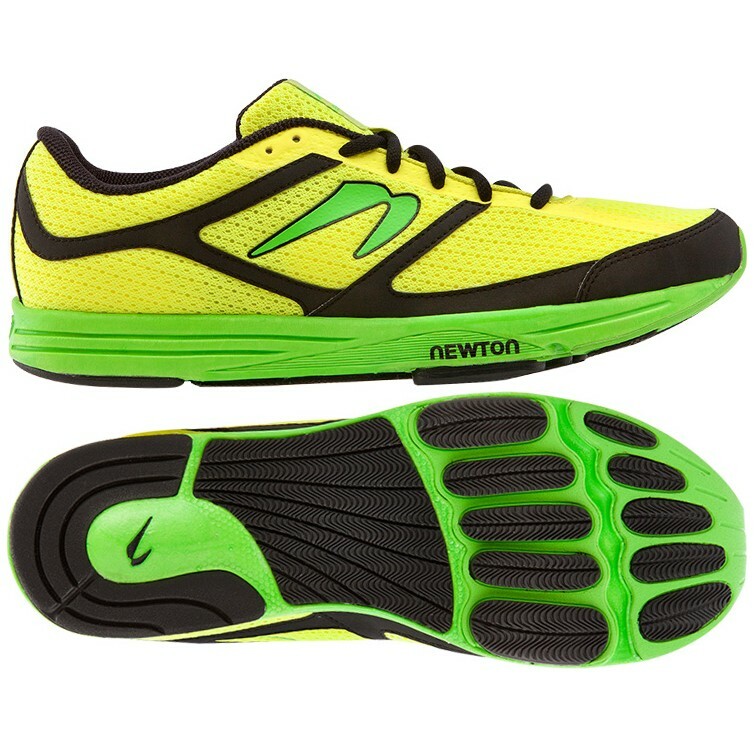 Newton Energy: 9.0 oz, 23mm stack height, 6mm drop (2-3 if insole removed). I love Newtons. 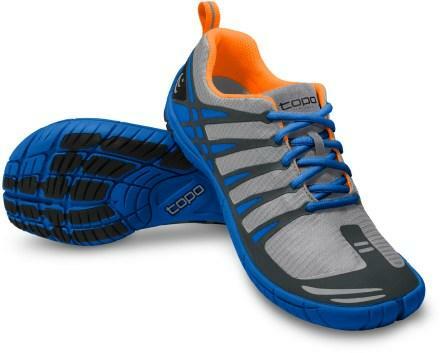 Super innovative, comfortable, lightweight, and truly designed to improve your running. Take a moment and stand on one leg – this is what you do when you run over and over – now tell me where all your weight is on your foot…its under the ball of your foot, NOT your heel! Newton Running has designed shoes with this in mind, they have a responsive lug system under the forefoot that not only gives you long lasting consistent cushioning but also gives you really good ground feel where you need it. When I run in Newtons, I have great ground feel and toe-off and just want to run faster! Topo ST: 5.9 oz, 13mm stack height, 0mm drop. I wasn’t sure what to make of Topos when I first saw them. Then I held one – holy cow, under 6 ounces, crazy light weight. Then I tried on one – super comfortable. You can instantly see this as an everyday walking/living shoe – which it does a great job for. Then I ran in it. Now I will confess I enjoy a good minimal shoe, so this shoe would take some transitioning for those in more cushioned shoes, but running in the Topos is this really fun sensation – I hate to be cliche, but it feels like I’m a kid running barefoot. I can take full advantage of my natural spring in my arch and achilles and feel like I’m running on nothing. The Topos are my favorite track workout shoe, recovery run shoe (easy easy run after a long weekend), and the shoe I’m most likely to slip on if I’m heading into town for some errands. 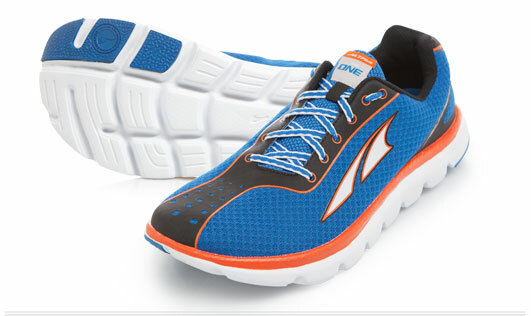 Altra Lone Peak 1.5: 9.9 oz, 23mm stack height, 0mm drop. My trail shoe. I have run up to 66 miles in this shoe, run all my trail races in this shoe, and do pretty much all my longer trail training in this shoe. The tread is fantastic and aggressive, the Altra wide toe box is perfect for my feet and saves my toes on the downhills, and its a very flexible, responsive shoe for a trail shoe. Unfortunately, the Lone Peak 1.5 is being phased out as the new Lone Peak 2.0s are here – but don’t fear, the 2.0s are awesome, and we have both (though a dwindling supply of the 1.5s). The Lone Peak 2.0s have the same great tread and comfy fit, but simply have more stack height (26mm) and protection, and hence a bit more weight (10.9oz). And talk about durable…I’m still occasionally running in my first Lone Peaks from a year ago! Pearl Izumi Road N1: 8oz, 22mm stack height, 1mm drop (dynamic). Boy, for a trail runner, I sure have a lot of road shoes! Yep, my A-races are all on trail, but racing is all about speed so most of my training is on the road. Pearl Izumi is well known for their cycling gear, but when elite trail runners started winning major races in them, it got people’s attention. The Road N1 is a super light and comfortable ride on the road. The upper is all seamless and literally feels like a sock is on your foot. Their E-motion midsole design helps you roll forward through your stride with a very wide and stable base. The Pearl N1 and N2 are both lower drop shoes that most anyone can get into and run without much transitioning, but now be in a lighter shoe and use your feet and natural spring mechanism better. 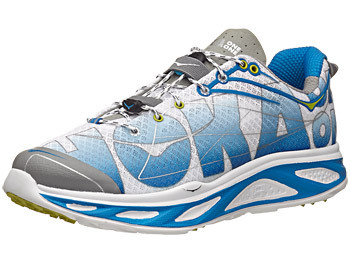 HOKA ONE ONE Huaka: 8.9oz, 27mm stack height, 2mm drop. Years ago, I swore I’d never run in Hokas – their max cushioned design just seemed way too much for me. Yet learning about Hokas, I found that while they are maximalist in their cushioning, they have a lower drop (2-6mm depending on the model), and a very wide and stable base of ground contact. Many people love their highly cushioned models, but personally for me, it was just too much. Then just recently our rep gave me a slightly used pair of Huakas (yep! I’ll take used shoes!) 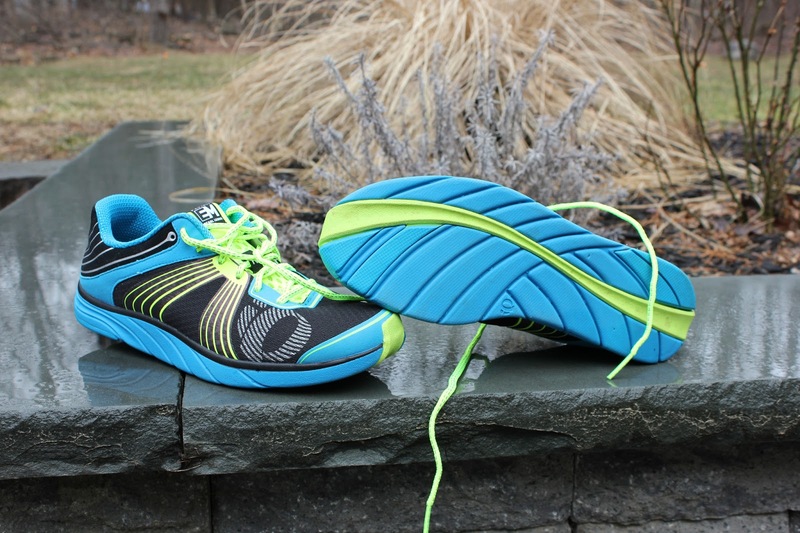 and said this is the “racing flat” of the Hoka line… They were my size so I graciously accepted. I will honestly say, I really like this shoe. Mostly, its the RMAT foam they use which is much firmer than traditional EVA foam. So although I have a lot of cushion under my feet, I also have good ground feel which is really important to me. I recently had a mild foot injury from racing two ultra marathons in back-to-back weekends, and this shoe helped me run through that without any pain. I have done track workouts, long runs, and tempo runs in them and they’ve performed well in all situations. Well done Hoka. You can see, I personally love running in shoes that are super lightweight and flat, but with varied levels of cushioning and support. This is the new paradigm of running shoes – flatter (0-6mm drop), lightweight, responsive shoes so you can run better and take advantage of the running-specific anatomy we were all born with, instead of dampening it…but with differing levels of cushioning depending on your comfort level, previous footwear, and preference. 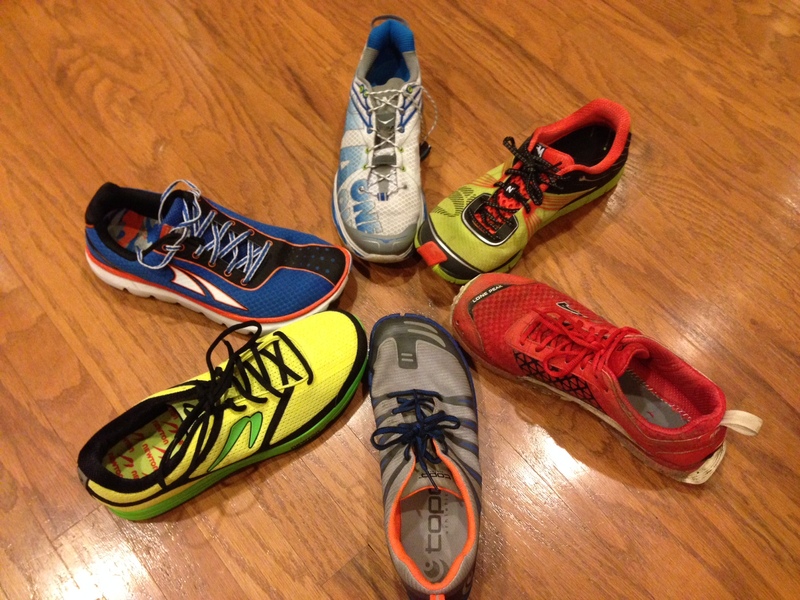 Crozet Running carries all these models (and more!) in stock for both men and women and we are happy to discuss the best footwear for your feet and of course discuss running form and training while we’re at it. Come and try a pair and introduce something new into your wheelhouse!